Protects against irritation and rashes. With Olive oil, Aloe Vera, Oatmeal, Calendula. NO mineral oils, nanoparticles, artificial colours, parabens, phthalates, allergens, GMO or MIT. 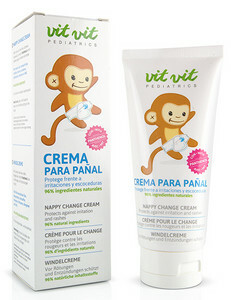 Apply a thick layer to clean, dry skin before putting on the nappy.